Established in 1876 as an important link between suppliers of specialty chemicals and industrial minerals and the industry, C.H. Erbslöh GmbH & Co. KG with its know-how in application technology has developed into a high performance technical distributor in Europe. The international trading company C.H.Erbslöh www.cherbsloeh.com expanded its portfolio of high quality speciality chemicals and minerals with aluminum hydroxide of Rio Tinto Alcan, Montreal, www.riotintoalcan.com. 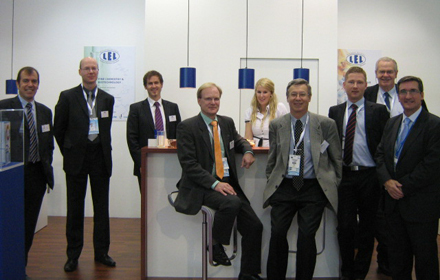 Due to the appearance as LEL group with an own stand we could make a lot of interesting contacts to customers and suppliers giving a good impression of the vital internationality and of the europewide/worldwide distribution network of the LEL group.